It is not exactly an island, but it is encompassed on 3 sides by bends in the river. The fourth is a mountain. The only way in is a low-water bridge. “island” which has approximately 40 houses on it. Most are now vacation houses for people in the city (Washington, D.C.). There are only about 8 full-time residents. My daughter and her family is one of them. The snow began around 6 am this morning. I took this photo at noon. Precipitation is estimated to end near 6 pm this evening. There is no state maintenance in here. It is private. The one-lane dirt and gravel road may be plowed after the snow ends, but quite a lot of snow will remain as it cannot be plowed too low or all the gravel will be removed. Also, the hill in the first photo is covered with ice which will make it difficult to get out. However, this is not the most serious detriment. 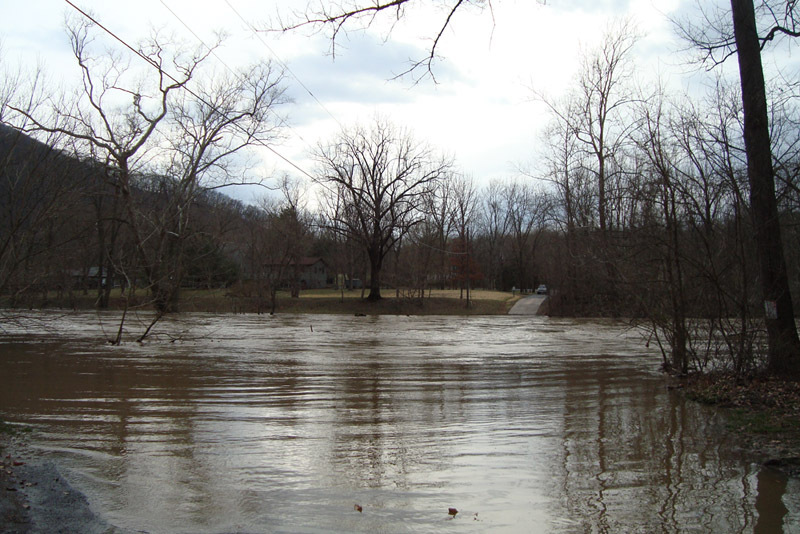 The river gauge many miles below us beeps a warning to my daughter’s cell phone when it goes over 5 feet. The water takes about 8 hours to reach us from the area where that gauge is located. Once it reaches 5 feet, the likelihood of flooding at this bridge is great; over 5.5 it’s a given. The last time I checked, the water at the gauge was 6.30 feet. Now even those with 4-wheel drive will not be leaving the “island” until the water recede. 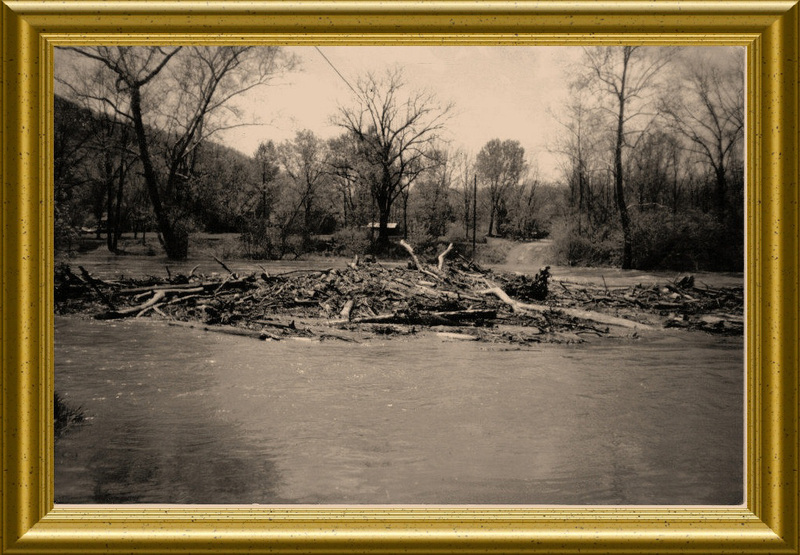 A photo of previous flooding. The road out on the other side is visible in this pic. 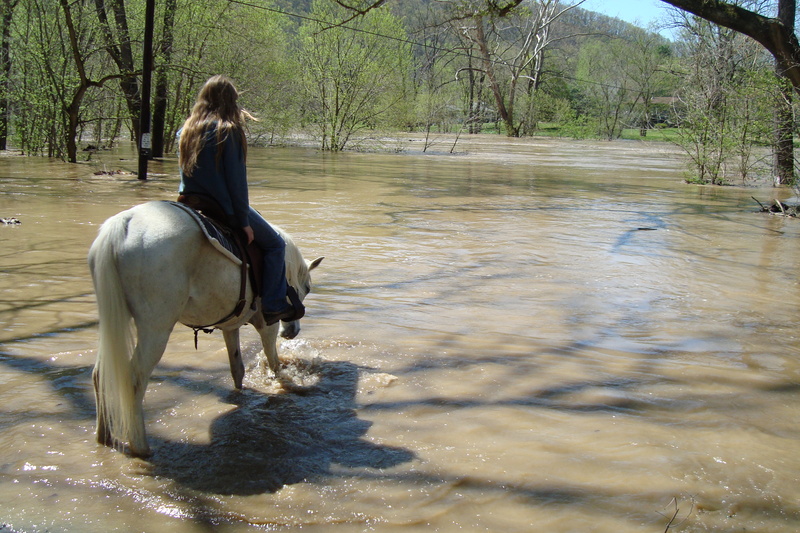 My daughter, Megan, checking the water on Valentine last spring. Playing around one day. I like the sepia tone, and added a frame. It floods here many, many times a year. Sometimes several times a month. Ice, sleet, snow, flooding – we have all this week! It did indeed flood. 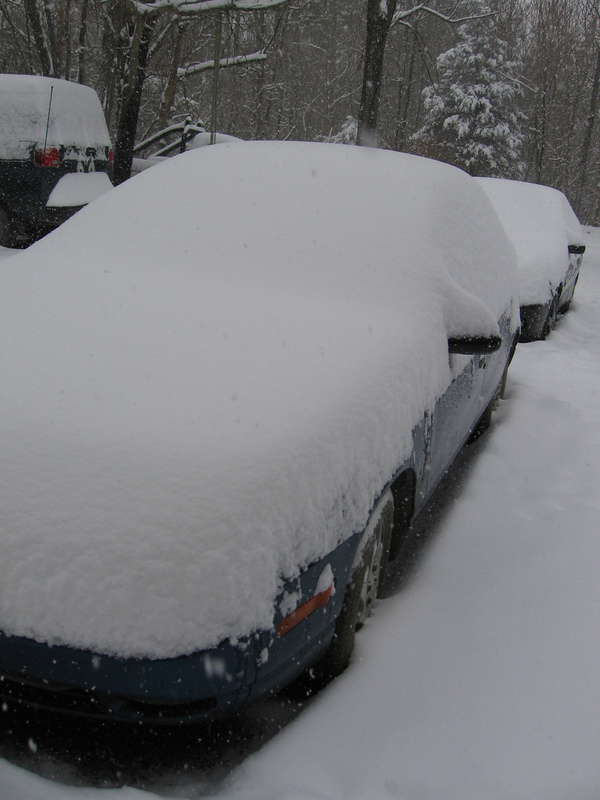 My daughter and her husband could not get out for work. Later this morning while water still covered most of the bridge, a man hauling a boat and trailer went across. 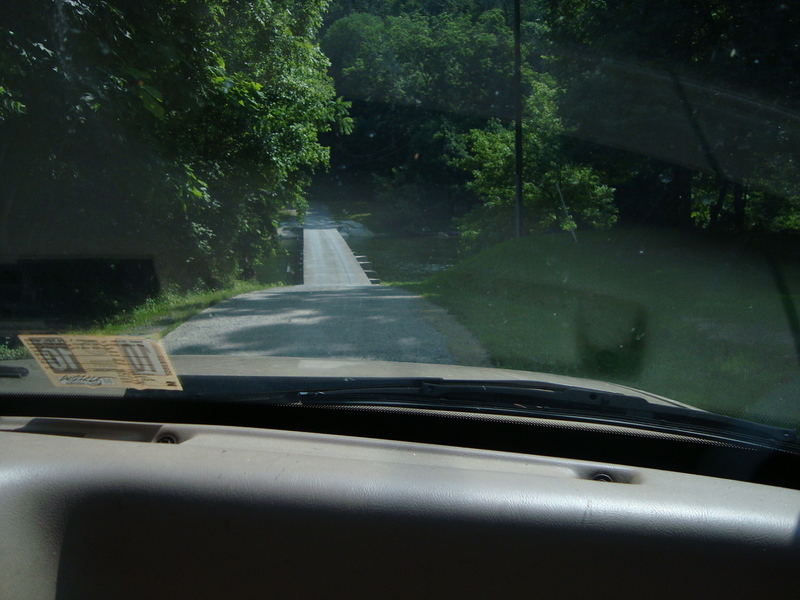 The hill rising up on the other side was icy and his vehicle slid backwards, a wheel of the boat trailer going off the edge of the bridge (the bridge is just a flat slab with no sides). He is lucky: if two wheels had gone off, it may very well have just pulled his truck in also. What a dangerous thing to attempt. Thank goodness he is safe.